Prostitution prevention or traffic control? 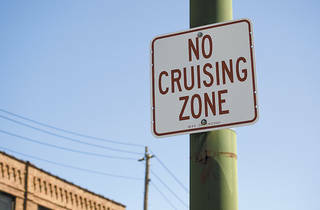 A The signs refer not to American Gigolo–style cruising, but instead to American Graffiti–esque “unnecessary repetitive driving,” according to the Chicago Municipal Code. 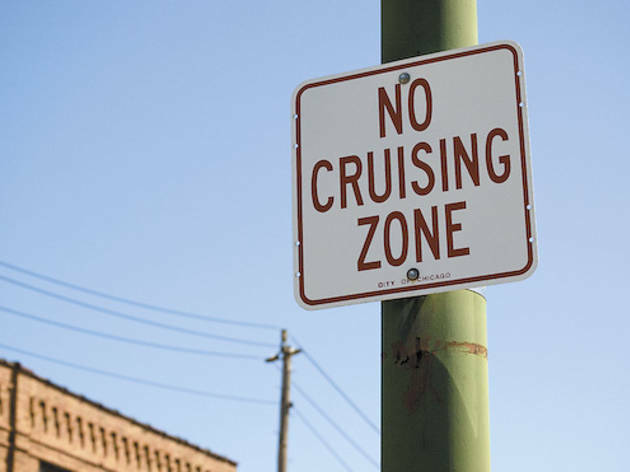 Drivers who pass by in these cruise-free zones twice within an hour are subject to a written notice; a third time results in a $100 ticket. (The fine increases to $200 and $300 for subsequent offenses within one year.) These areas were established in 1990 to “reduce chronic traffic problems sustained by motorists in an area where cruising may result in congested traffic,” reads Title 9 of the Municipal Code. Prostitution? That’s covered under Title 8.